Today’s international politics appears to be in great chaos. The US has withdrawn from international agreement on climate change as also Iran nuclear agreement. 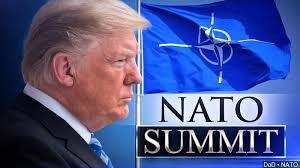 The US President is not hesitant even for a minute to snub his long-term allies—the G7 countries/NATO members. It is hell bent upon attacking global trading system by unilaterally announcing tariffs on its imports from EU, Canada, Mexico, China, etc. With equal enthusiasm, China too responded to the US impositions by releasing its own list of goods being imported from the US imposing additional tariffs. This trade war has thrown global financial markets into turmoil. In the meanwhile, the Fed has raised interest rates. In this milieu, the rising dollar is squeezing emerging markets—some of them such as Argentina are already undergoing stress. On the other hand, China, the rising power from the east, disregarding international tribunal’s awards, and much against the wishes of its neighbours, is building military bases in South China Sea. It has indeed acquired de facto control over much of the South China sea by expanding its control little by little so as not to attract the attention of the US and others. Now, they have mustered enough courage even to declare that they will not yield one inch even of the passage through which global trade worth $ five trillion passes through. Its current leadership is persistently working towards promoting its authoritative values and economic might overseas through its investments in projects such as ‘String of Pearls’—a military initiative seeking access to a series of ports from the South China Sea to the Arabian Sea for its navy and ‘Maritime Silk Route’—economic investment to build China brand with a promise to create economic benefits to host countries. As a part of its geopolitical strategy, it has even drawn an ambitious road map to build world’s first global electricity grid—investing around $102 bn in building power transmission infrastructure using a new technology across Latin America, Africa, and Europe and beyond. Russia has annexed Crimea and is playing a significant role of its own in international lawlessness, particularly in the middle east. It is demonstrating its growing military powers on the battlefields of western Syria. It proved its ability to play an influential role in getting Iran round the table to sign the nuclear deal in 2015. Also playing its own role in the current upsurge in oil prices. Russia has indeed become less predictable in the recent past than the west thought. In the context of West’s inability to put forward an effective policy on the Middle East, Afghanistan and the refugee crisis, Russia has indeed become the focal point of the problem(?). Amidst the breaking of rules to gain political and economic advantages by a few, the rest of the world is staring aghast at the growing intolerance and protectionism that is slowly seeping in threatening faith in free market culture, of course, with a fond hope that good sense will prevail over the offenders and soon rules will start ruling international affairs, while what is actually required of them is: to group together and assert pressure on the erring countries to revert to function under a framework of rules. As against this India, though ambitious to spread its influence in the region, is no match to China’s powerful infrastructure diplomacy. Yet India, being fearful of encirclement by China’s powerful military and navy, is pursuing a plan to “attain primacy in the Indian ocean” with active support from the US. It is in such a scenario of competition—competition not because of belligerent leadership on both sides, but because of the fact that as they grow economically, their sense of self-interest is growing too—the problems too are getting complicated in an already complicated world disorderliness. Against the backdrop of contending Sino-Indian strategic interests, Narendra Modi and Xi Jinping met in China’s city of Wuhan last month. It could, obviously, serve the purpose of highlighting the divisions rather than displaying cordial relations. Nevertheless, the amiable tone of the meeting does give a sense of stability, at least for the time being. But the enhanced military and other commercial activities along the sea lines of communication in the Indian ocean rim are certain to constrain India’s strategic manoeuvring. To put it otherwise, India’s geostrategic interests in the Indo-Pacific are at stake. Amidst these developments, what is more likely to happen is: India to collaborate with the US to counter the Chinese strategic designs. But the growing distance between the US and India in the recent past does not paint a favourable picture of it: US has postponed the first 2+2 meeting— which is essentially aimed at enhancing strategic coordination between both the countries to maintain peace and stability in Indo-Pacific region—between the foreign and defence ministers of respective countries. Even the much talked about US South Asia Policy in which India was supposed to be central to the US’s action in Afghanistan while Pakistan would be ‘put on notice’ is not taking shape in an encouraging fashion. Indeed, there is a growing shift in the recent past in the US stance more towards Pakistan for the US is increasingly involving Pakistan in sorting out the problems associated with Afghanistan. The other emerging problem is: challenges to India’s regional interests owing to Trumps’ Iran policy that threatens sanctions against all countries and companies doing business with Iran. It even imposed November 4 as the deadline for reducing oil imports from Iran to ‘zero’. Of course, press reports indicate that India is likely to go ahead with its dealings with Iran as usual for the sanctions have no approval of the UN. This might not be viewed by the US favourably. Even otherwise, India cannot simply afford to defy the sanctions as it would prove costly for its trade since the entire global traded is dollar-denominated. In the same vein, India’s interest to strengthen its ties with Russia and China as a part of its desire to pursue strategically independent foreign policy might not be liked by the US. Over and above all this, the effect of sanctions will certainly be felt on India’s execution of Chabahar port. There is no guarantee this time round that Trump administration will give exemption from sanctions for this project. For, the Indian announcement of higher duties on several goods imported from the US in retaliation to the US imposing hefty tariffs on steel and aluminium imports is not to the liking of the US. Despite these constraints, if India fails to execute the Chabahar project, Iran may not look favourably at India. All these predicaments are, of course, not that new for India and it has indeed steered out itself favourably earlier. But this time round, India is not having the benefit of Obama-like support from the US. So, that is what the diplomatic corps should tackle intelligently while the rest of us wait and watch how events unfold.